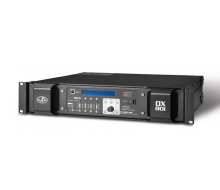 Action 18 The Action 18 bass system incorporates a 18” low frequency transducer with a 4 ” voice coil mounted as direct radiator into a bass-reflex cabinet. CL-5 The CL-5 full-range ceiling loudspeaker incorporates a 5.25" double-cone transducer with a 1" voice coil. 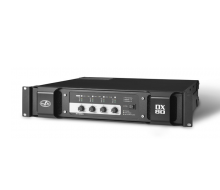 The Road 15A_net is a powered stage monitor that incorporates a 15R4 cone loudspeaker for bass reproduction. High frequencies are handled by an M-75 compression driver with 1.5” exit, a 3” titanium diaphragm and EFW voice coil. The EVENT-121A is a direct radiating rear-loaded powered subwoofer system which incorporates a single 21″ neodymium loudspeaker providing “earth-moving” low-frequency reproduction for the Event Series line arrays. The DAS EVENT-212A is a powered, 3-way line array which employs two DAS 12″ loudspeakers in a dual-band configuration where each speaker operates in a specific frequency range. 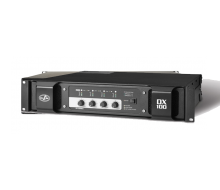 The Vantec-118A is an active front loaded bass system which has been designed specifically for use with the Vantec-20A curved source line array. The Vantec-20A is an active curved source line array that incorporates an arsenal of hi-tech solutions designed to provide the versatility needed by today’s sound hire professionals. 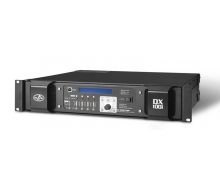 The LX-218CRA is a powered subwoofer system designed to provide outstanding performance in terms of output power, bandwidth extension, and distortion. The LX-218CA incorporates the 18LXN long excursion cone transducer. The newly developed 18LXN loudspeakers are a significant improvement over their predecessors offering increased power handling, reduced distortion, and power compression. The LX-218CR is a high-power subwoofer system designed to provide outstanding performance in terms of output power, bandwidth extension and distortion. 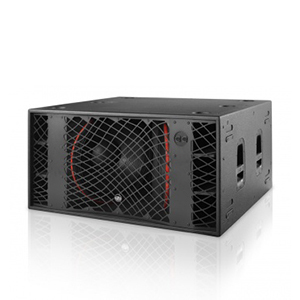 The LX-218C is an externally powered, high-performance subwoofer system designed to provide outstanding performance in terms of output power, bandwidth extension and distortion. The LX-218CA is a powered subwoofer system designed to provide outstanding performance in terms of output power, bandwidth extension, and distortion. The Vantec 215 is a 2-way passive full range loudspeaker utilizes two 15” FV-series bass loudspeakers for extra low-frequency punch and higher SPL. Altea 715A is a powered portable P.A. system with a multi-angle polypropylene enclosure that permits stage monitor applications. The SF-221 is a twin 21″ subwoofer system designed to provide high levels of low frequency energy. The ARTEC 320 is an installation line array with 2 x 10MI low frequency loudspeakers, 2.5″ VCD and 1 x D.A.S. M-75 compression driver. The ARTEC 315.64 is a 15MI low frequency loudspeaker with a M-34 compression driver and 90º x 60º (315.96) or 60º x 40º (315.64) rotatable horns. The ARTEC 312.64 is 12MI low frequency loudspeaker with 1 x M-34 compression driver.